Paul Nelson Farm is honored to have decorated American competition shooter and firearms instructor, Daniel Horner as our Instructor in residence. Since serving in the U.S. Army Marksmanship Unit, Daniel has joined Team Sig as a competition shooter as well as partnering with Paul Nelson Farm as the main instructor for their Extreme Long-Range shooting programs. 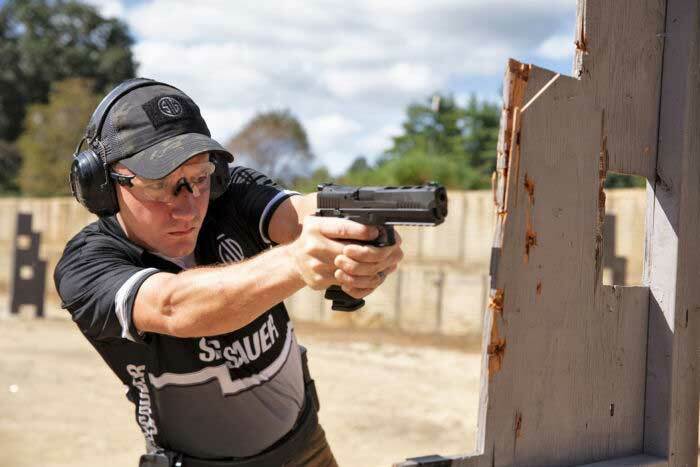 Daniel is a 9-time USPSA National Multi-Gun Champion, 4-time 3-Gun National Champion, and a 2-time IDPA National Champion among many other Merits. He is undoubtedly, the best 3-Gun shooter on the circuit today. Further he is an elite professional in the training of long-range shooting and sniper training. His years of training, pleasant coaching style, and professional instruction combined with our luxury long-range facilities and your commitment to experiencing the finest offering in extreme long-range (ELS) shooting will make your time with Daniel Horner at The Range at Paul Nelson Farm an unmatched experience that leave you eager to schedule again. Whether your summer calls for a business retreat, team building or just genuine sporting camaradarie with friends, be assured the team at Paul Nelson Farm and elite instructor Daniel Horner will work to leave everyone with positive flashbacks that make one yearn for their repeat invite.